Do you guys like this? If you do hit Like. I need some feedback. 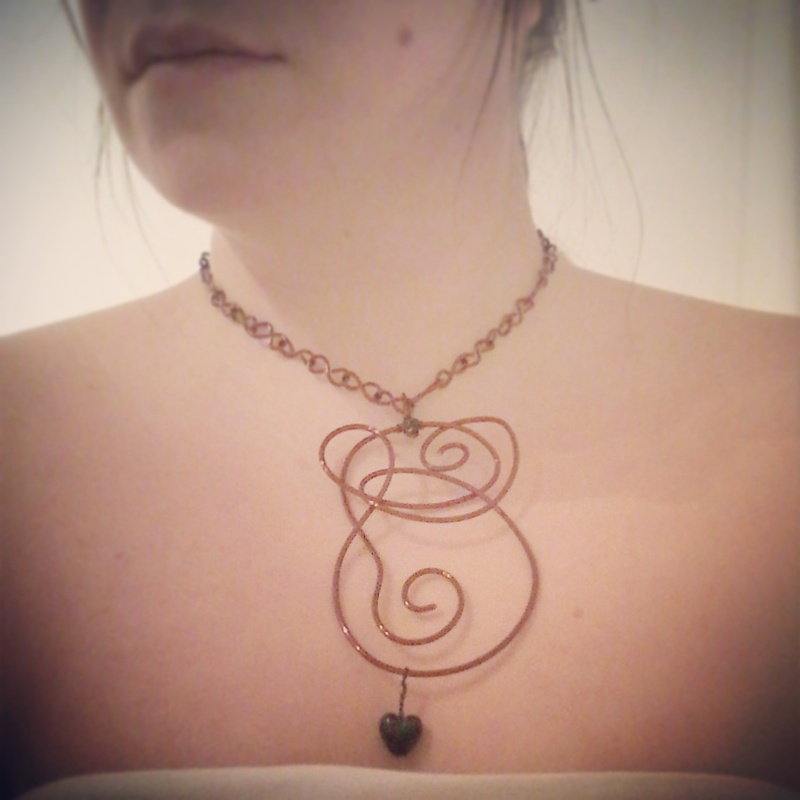 I’m working on a jewelry project this week due the 2nd of March. 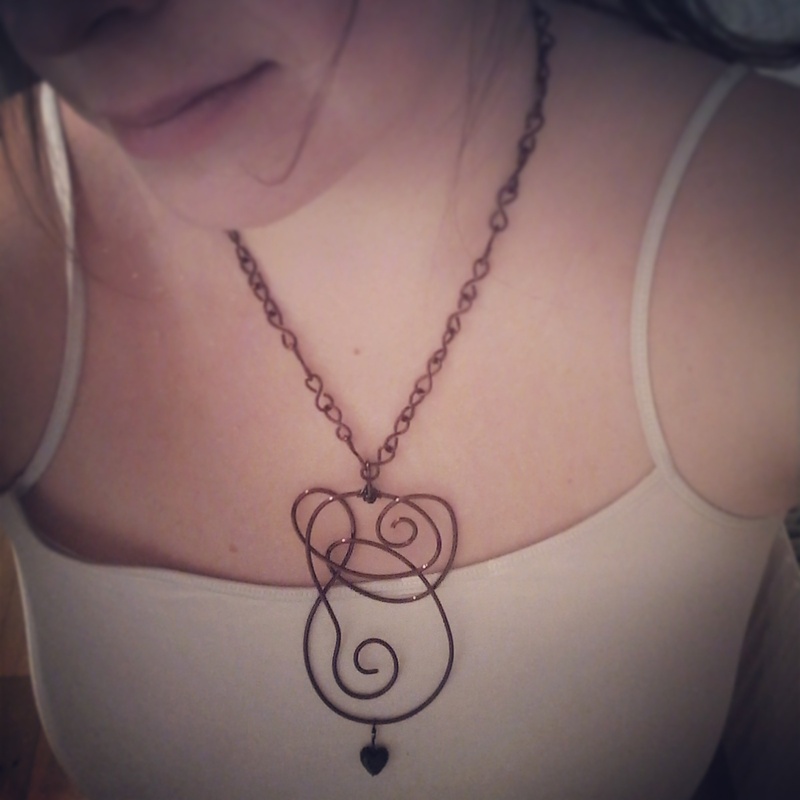 #copper #jewlery #poll #likeit ? Okay cool. I am going to try a longer chain.. I’ll update this post with a new pic in a few minutes. Please check back and tell me what you think! Thanx a bunch for your oppinions. They mean a lot! Yeah. Ill try that out. Thanx! Thanx for the input! 🙂 Is the black thing at the bottom that you guys reffer to a cat? Different but I really like it! I’d wear it! I do like the longer chain idea though..